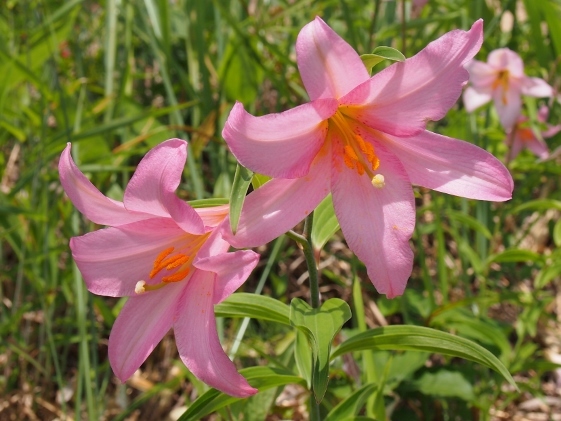 Today I pedaled along the Okawa-Kitakata Cycling Road and arrived at Atsushio Onsen via the Hill of Lilium rubellum. 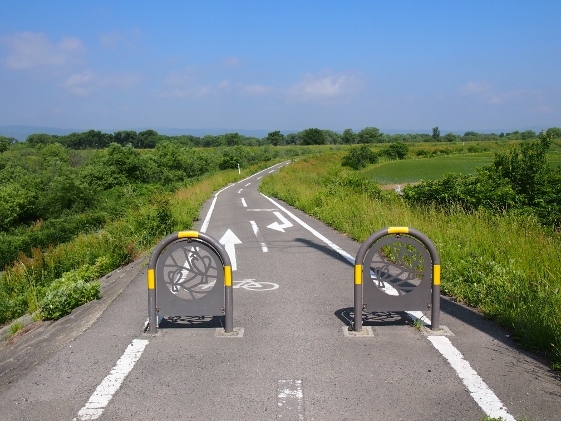 There was a branch to the Okawa-Kitakata Cycling Road on the Pref. 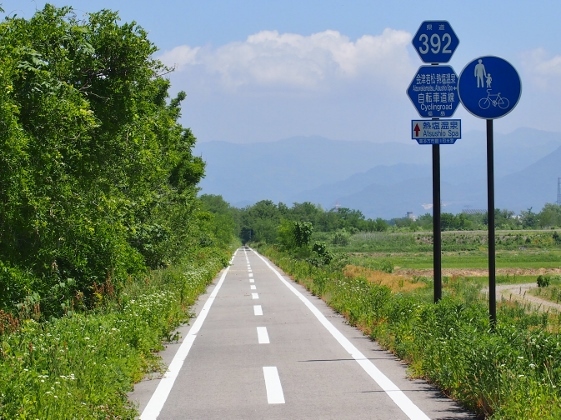 Route 366 in Aizuwakamatsu City as shown in the pictures above. 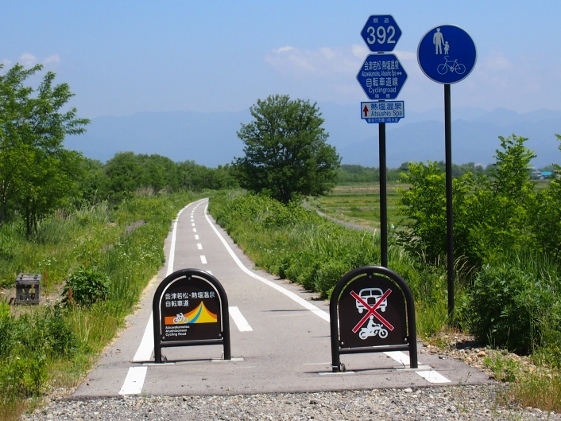 However I had to be careful enough taking this cycling road because of some irregularities as shown below. 1. As far as Miyako Bridge I pedaled on the right bank of Aga River. From here on the road became unpaved. 2. 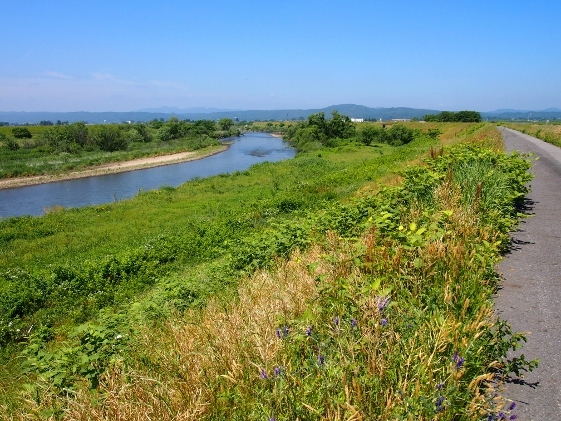 I had to cross the Miyako Bridge and then I pedaled on the left bank of Aga River. This side was being paved. 3. 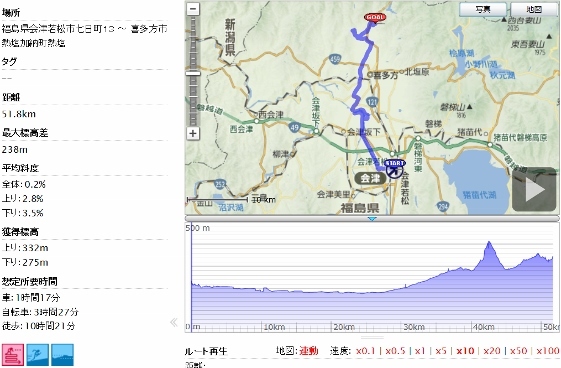 Arriving at Tachikawa Bridge, I turned right along the Pref. Route 127 and crossed the San-oubashi Bridge. Then I turned left and went along the river bank as shown in the picture above. 4. 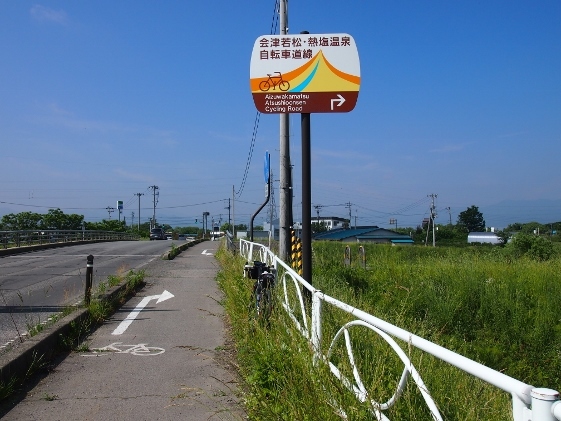 Arriving at Kaisei Bridge I turned to the right and pedaled along the Pref. 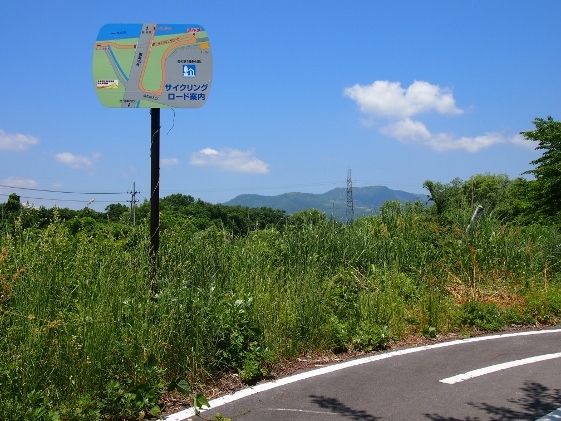 Route 21 and then 61 and finally I found the cycling road again just before the Shingu Bridge. 5. 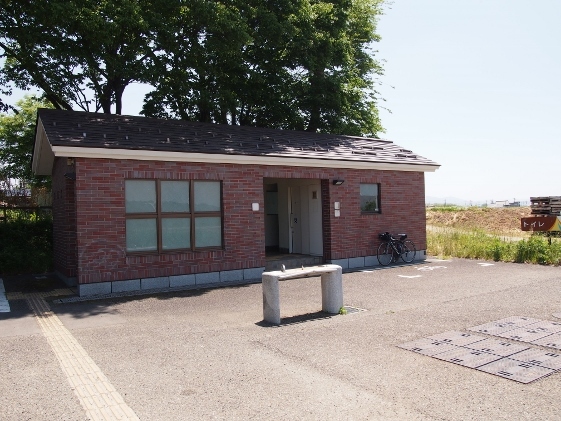 Hereafter I could ride a bike comfortably all the way to the Road Station "Kitanosato" with nice rest rooms along the road. 6. 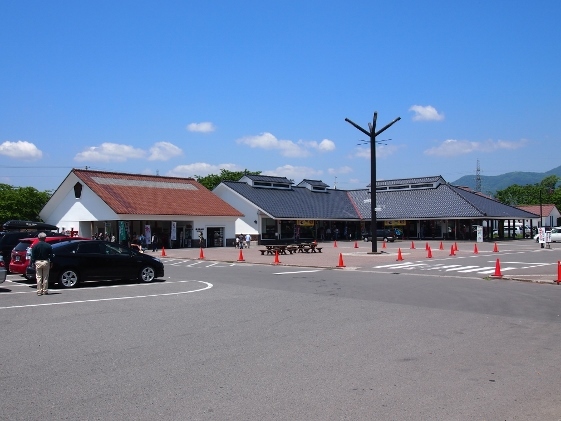 Since the Road Station "Kitanosato" was placed adjacent to both Cycling road and National Route 121 it was convenient. 7. 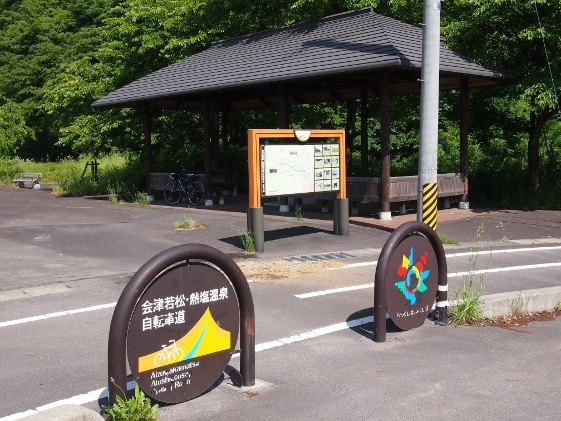 The terminal of the cycling road was Atsushio Onsen as shown in the picture. 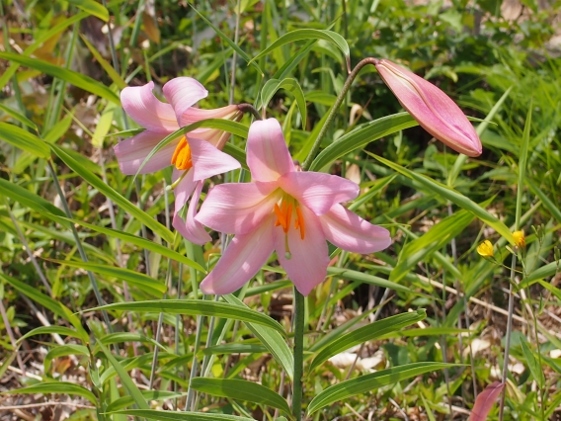 There was a 7km climb route to the hill on which many lilium rubellum grow naturally and which was called the "Hill of Lilium rubellum". Guide banners were set up along the route thus I could easily trace. 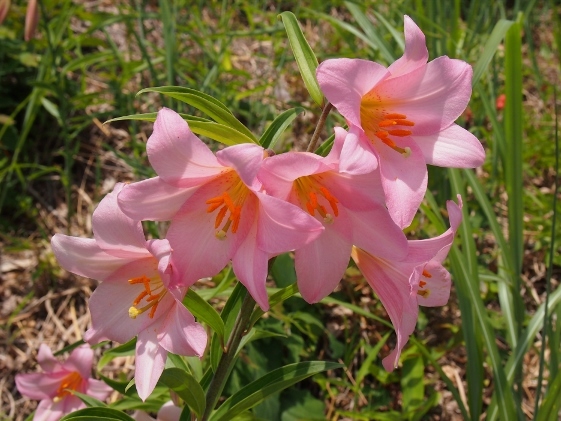 Lilium rubellum is a kind of lily which has pink flowers and grows only in Fukushima Pref. 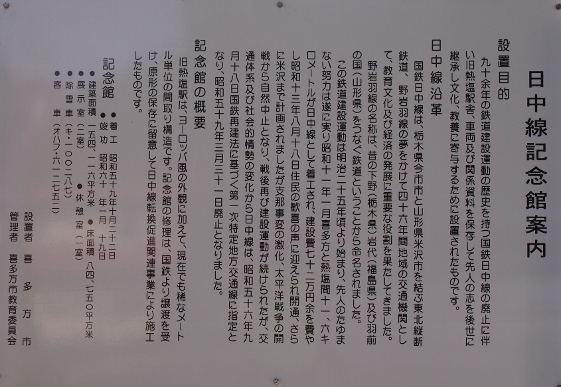 and in adjacent Prefectures which have borders with Fukushima Pref. 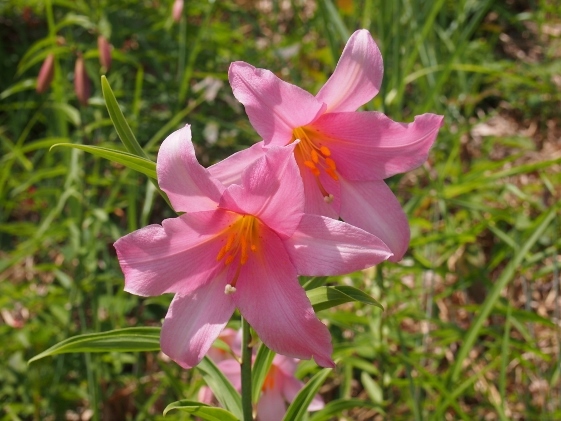 It was designated as one of endangered species. 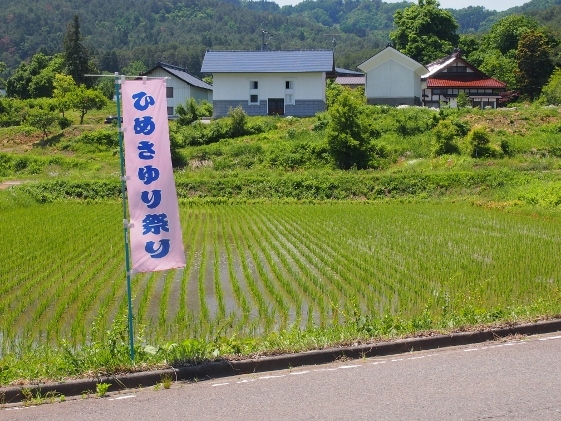 In Fukushima Pref. 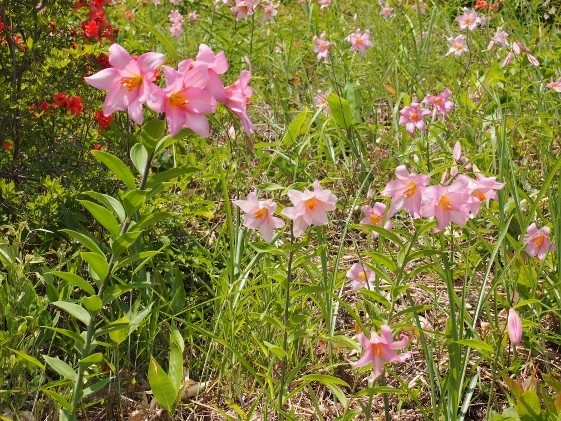 lilium rubellum can only be seen at the "Hill of Lilium rubellum" in Kitakata City, "Country of Lilium rubellum" at Takashimizu Nature Park at Showa Village, the "Home of Lilium rubellum" in Minamiaizu Town, Nishiaizu Town and Tsutsumigadaira of Tsuchiyu Onsen Area. 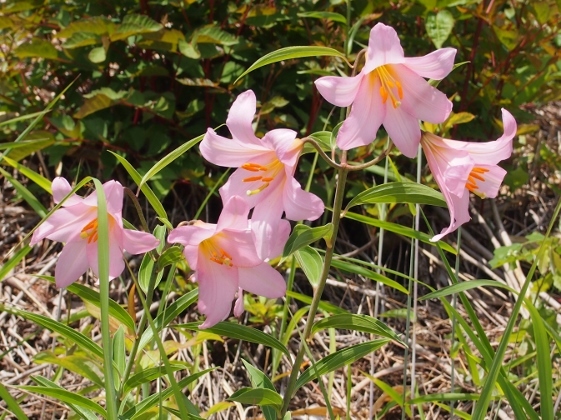 Lilium rubellum of Kitakata City usually starts to bloom earliest in Fukushima Pref. from beginning of June. 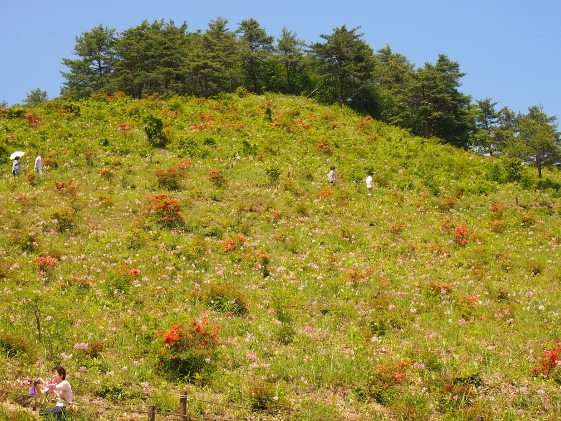 Whole view of the hill was shown in the picture above. 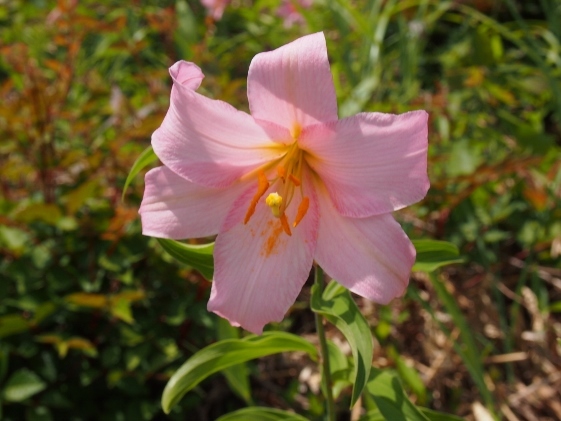 Lilium rubellums were nearly in full bloom and were really beautiful. Many of them are shown above. 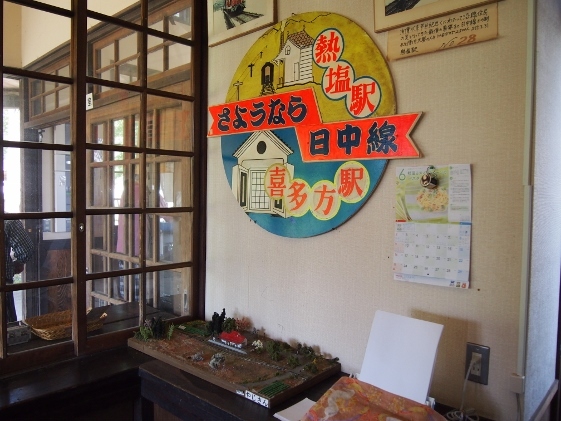 Next, I found the Memorial Hall for Nittchu Line of Japan National Railway at Atsushio Onsen area. 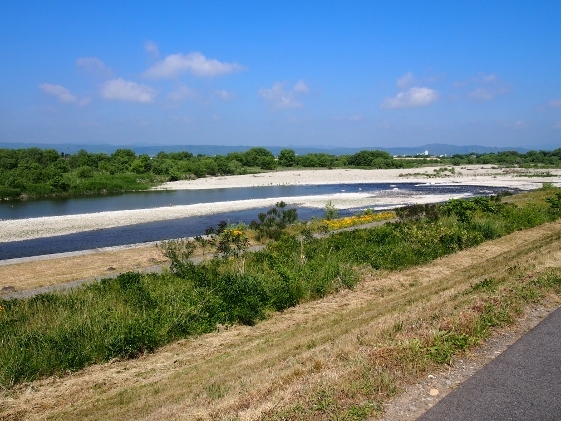 Nittchu Line was a railway of former Japan Railway which connected Kitakata and Atsushio. 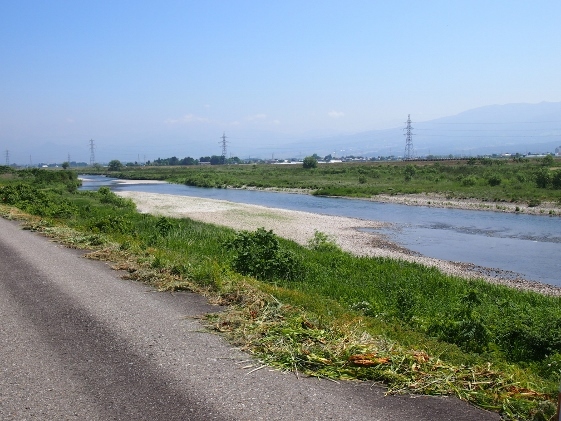 The line had been abolished about 30 years ago and the above mentioned cycling road had been built at the site. 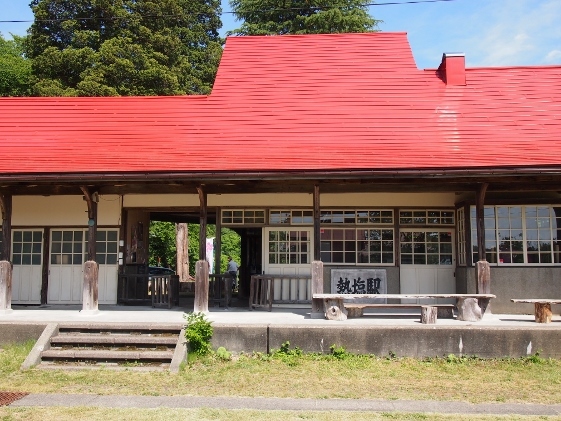 Also the building of the Atsushio Station which was then a terminal station became the Memorial Hall. The pictures above show the explanation, outside views, and inside view. 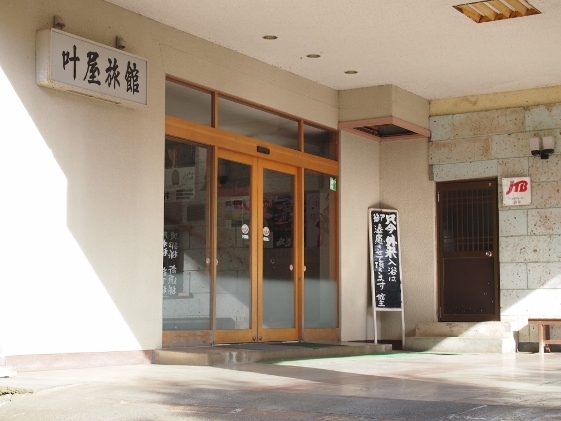 I stayed at Kanoya Inn at Atsushio Onsen as shown in the picture above. 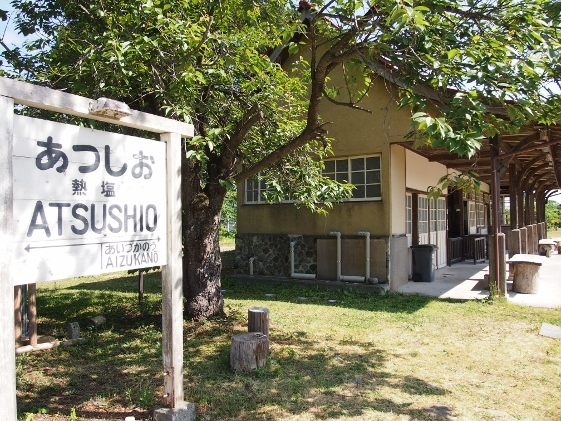 Atsushio Onsen had hot chloride water and salty taste just as the name suggested. 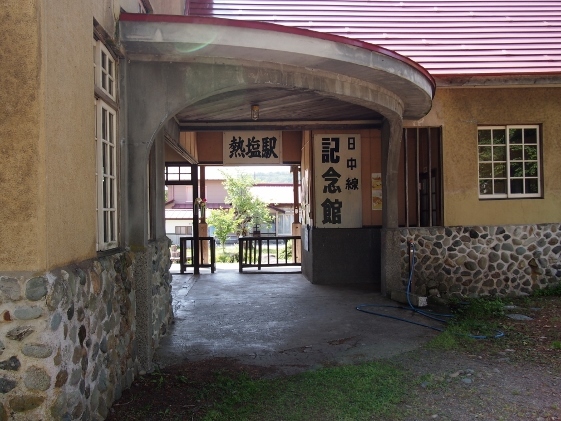 The bath was really good with overflowing hot spring water of 68 degrees Celsius.